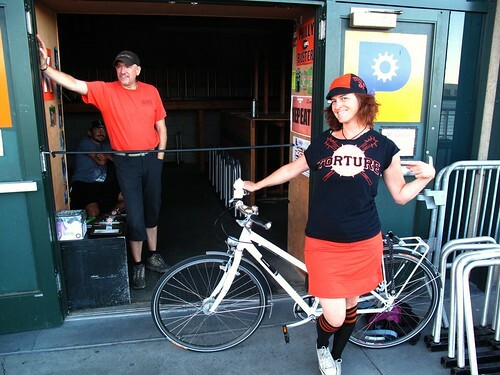 Vélo Vogue: Let's Go Giants! My bike is how I'm getting to the game tonight! Look for me and my dad on TV in Section 104, catching foul balls and cheering on the BEST TEAM IN THE MLB! Orange and Black all the way! WOOT! i'll be parking your bike! hopefully under not too much duress. we like tips. kthx! 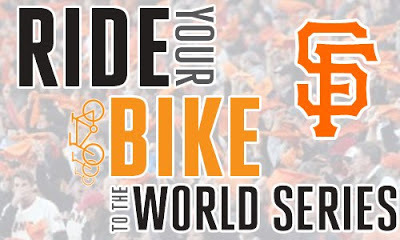 GO GIGANTES!